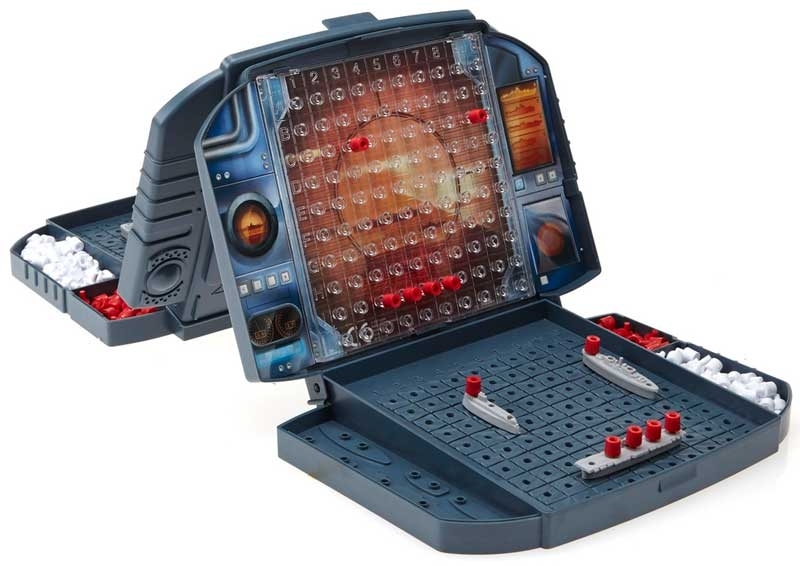 BattleShip - The Classic Naval Combat Game! 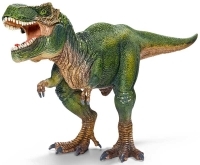 Hunt hit sink. Win! Plot to sink your opponent's fleet before they sink yours. Arrange your fleet in unique formations to keep your opponent guessing. Use your white pips to indicate the location you have struck - you don't want to it the same area twice and use the red pips to indicate when you have been struck by the enemy. 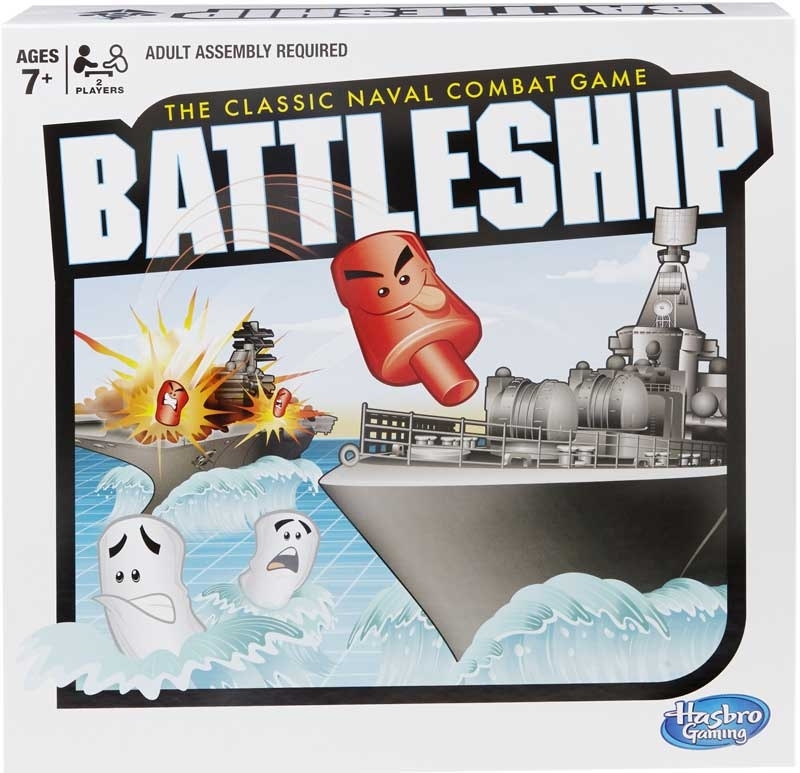 When a ship is sunk you call "you sank my battleship". 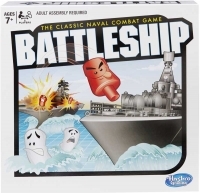 Whoever has the last ship is the winner.